GIA has added something wonderful to the i-H2O family – CONVENIENCE! Now you can enjoy the many benefits of GIA’s incredible Single-File Alignment technology anywhere you go. 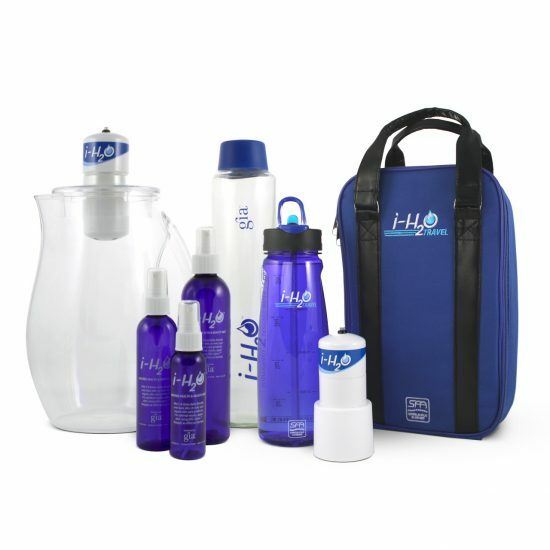 Introducing the brand new i-H2O Activation Travel System! IMPORTANT: During activation, the pitcher should be filled to a level where the water is approximately one (1) inch away from the bottom of the activator. Do NOT submerge any part of the i-H2O Activator in water. I don’t go anywhere without my travel unit, hands down one of my favorite products GIA offers! I never get sick traveling, and even use it on a day to day basis at home so I know in my busy day’s I’ll at least drink one full bottle of I-water throughout the day. Such a convenient product! 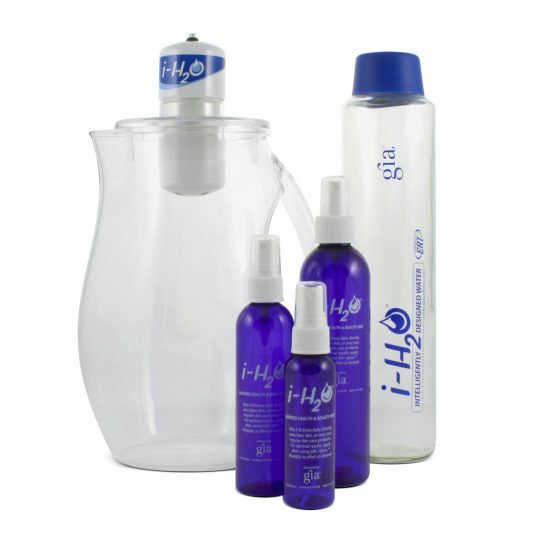 Having used the i-H2O Home Activation System for several years, I was beyond excited when I found out that GIA created a portable version of this amazing product. I was one of the first people to buy the new i-H2O Travel System when it was launched, and it has been my daily companion ever since. I take it to work, to the gym, and on all the flights and road-trips that I go on. 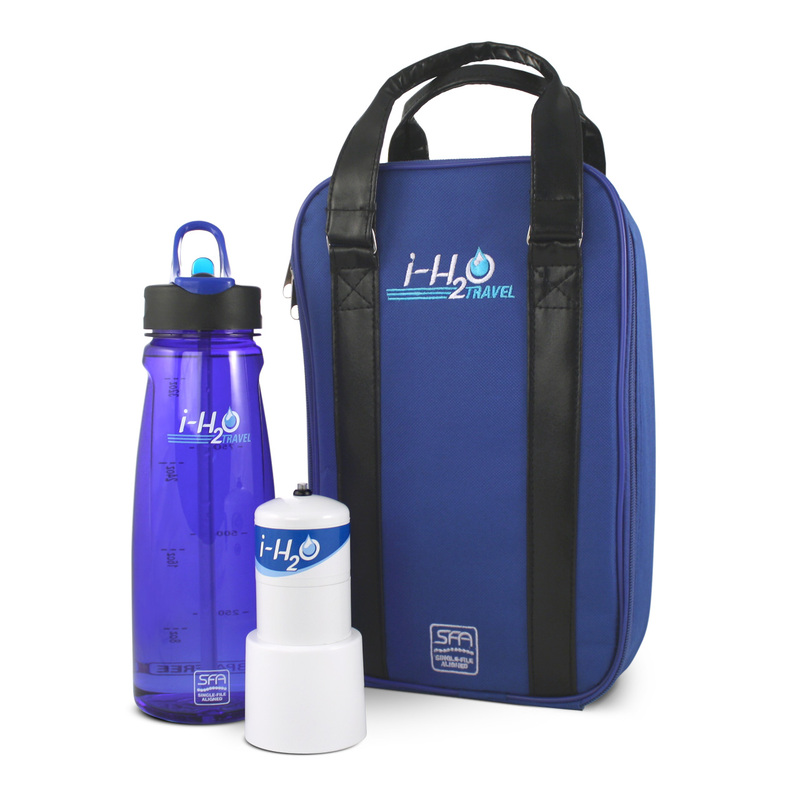 I love how quick and easy it is now to make my i-H2O ‘on the go’. Plus, having an easy-to-carry drinking bottle filled with i-H2O any time of the day is super convenient. I love it! The i-H2O Travel System is incredible. I never ever leave home without the i-H2O. Now I can take it anywhere in the world that we travel. The i-H2O Travel System is convenient. I can take it anywhere and I can do so many more presentations with it and introduce it to so many more people! I have been drinking i-H2O for several months and I have experienced some very positive changes. When drinking i-H2O while exercising, I feel much better hydrated than in the past. I also feel like I am recovering much more quickly from strenuous workouts. Also, before i-H2O I often felt dehydrated during the night and I had to get up to drink a glass of water. With i-H2O, I am now sleeping through the night and I don’t wake up thirsty. Overall the i-H2O has made a very noticeable impact on my sense of well-being.